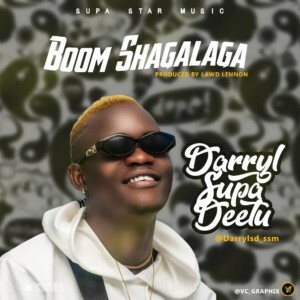 “Enough of all this mumbling shii” as said by New Skool Dancehall King Stage name Darryl Supa Deetu gets back on track with this fire🔥 tune titled BOOM SHAGALAGA Produced by Lawd Lennon! You will sure move your body and soul to this one ! Click the download button and don’t forget to share!